Our opponent (Fighters Academy) had played 3 friendly match ! 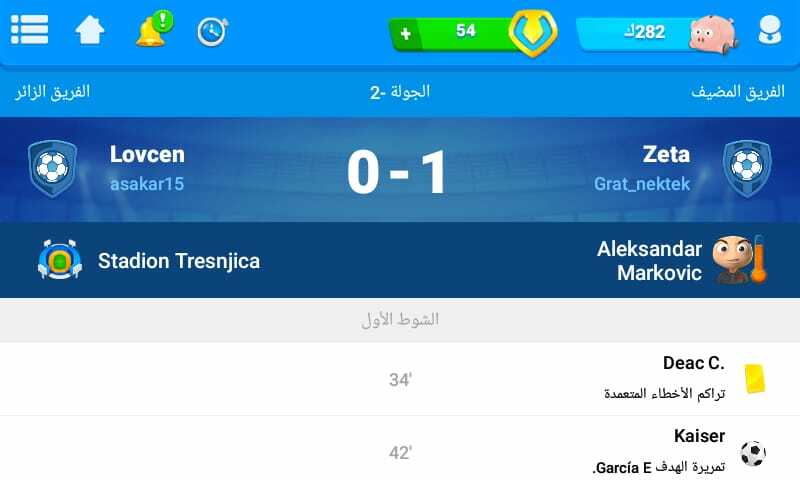 From Grat_nektek against our team. Our opponent Fighters Academy had played 5 friendly match ! 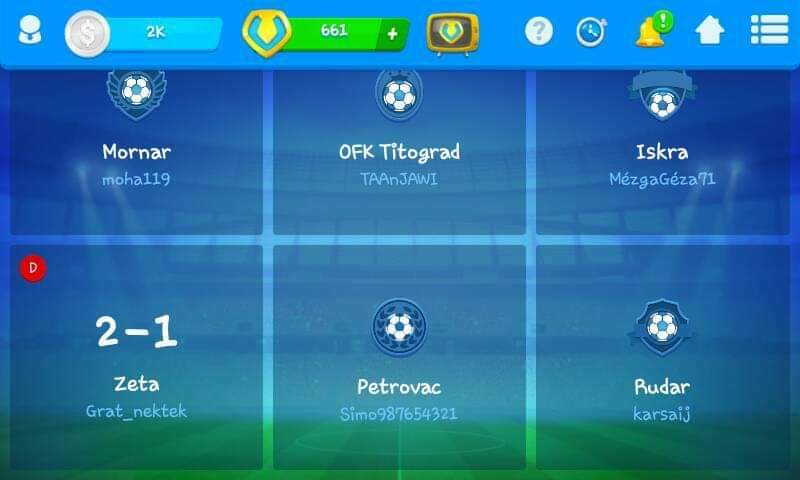 From Grat_nektek against our team. Come on what's that ??? Hi, i'm the captain of The Clan crew. Our opponents (Revolution Hispania) have changed their lineup. This is their original lineup, now OBJ1 is Matute13 and not Zizofho. It is a foul? It will be a penalty? Yes, this may be included in what was quoted in the inicial post. In that case, only one penalty would be given, since the other coach would not be able to get the correct team. @ youssef-kaouakib Here's what the @The-Bad-Oussa he said. And now, thank you for helping to clarify doubts @The-Bad-Oussa. Reminding everyone that they can keep up with the progress of the competition here. And how about you leave your guess about the battles of this phase? Who do you think each one wins? Just access here on the league table, which will appear a tab to you to mark who you think will come out winner. @би-кевин-кристиан Are you saying that It's a penalty of -250 points right? and the reason is for one of our team choose a wrong team , let me say , We contacted with the captain of The clan , I said about the change of the manager ( out zizofho , in matute13) so this penalty It's not include in wrong team if I told him before of the matute enter , If this is a santion , the correct is to make as a substitution that is -100 points as the rules based on battlepedia right? them try to be clear in this desicion , tha correct penalty is -100 but no -250 by the words that you are saying. I've been trying to contact @Elias filho18 via PMs, but there isn't responding from our opponent. Just for making clear to them, there is a penalty -50 points. I've been trying to contact @Guiga1984 and @james-sout Peronal Message, but there isn't responding from our opponent. Just for making clear to them, how much a penalty ? 50 or 100 ? Are you saying that It's a penalty of -250 points right? and the reason is for one of our team choose a wrong team , let me say , We contacted with the captain of The clan , I said about the change of the manager ( out zizofho , in matute13) so this penalty It's not include in wrong team if I told him before of the matute enter , If this is a santion , the correct is to make as a substitution that is -100 points as the rules based on battlepedia right? them try to be clear in this desicion , tha correct penalty is -100 but no -250 by the words that you are saying. If you have communicated the opposing captain before the league entry on this change, yes the penalty would be in the amount of a substitution. Ai would be -100 points. If you have not made any communication with the opposing captain prior to joining the league on this change in alignment, it will be counted as if the member of your group had picked up the wrong team with that would be -250 points. Penalties applied to out-of-position player scaling apply only to the initial alignment. It does not apply to automatic substitutions made during the game. In this case, there would be no penalty. @би-кевин-кристиан Yes , The first option is the correct answer , I wrotte to the clan's captain about the change of our G1 through PM before that matute entered to the league , the manager can confirm this version , so We accept the santion of -100 as a susbtitution , how you are saying and the battlepedia says. the opponents announced the replacement after obb1 already entered the league. This is the message from @wilson-arias-1 to me when their lineup was already complete. As you can see he was talking to the past. We think this is a 250p penalty.